Rich Green Tourmaline Round. This is very nice big sized, Green Tourmaline. It is Rich Green in color. It may be categorized as Indicolite because of Bluish Green Color. Origin : Afghanistan. 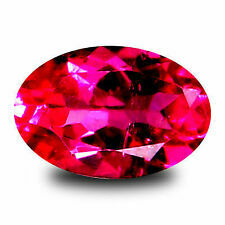 It is a natural gem and it has not been treated. 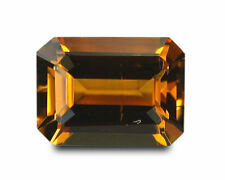 Stunning Natural yellow Green Tourmaline gem. 2.26 carat stone with a vivid bright yellow green colour and very good clarity. We only deal in natural, earth mined gemstones. When you buy from us you can be assured everything is 100% as described. 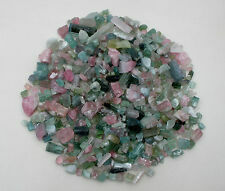 Over 500 carats tourmaline rough and crystal gem mix-----great for wire wrapping ! Tourmaline Gem Lot. APPROX WEIGHT: 500 total carats. SHAPE: Rough and Crystals. COLOR: Mix. CUT: Faceted. Photos are samples of what you can expect to receive. 1.41 ct Natural Dravite Tourmaline from Tanzania. Fancy Round, precision cut. A beautiful, vivid natural Dravite Tourmaline from Tanzania, with deep, intense flashes of orange and red color, and excellent clarity. Cut: Fancy Round. Weight: 1.41 ct.
Batalha Mine, Sao Jose Da Batalha, Paraiba, Brazil. Beautiful natural rich bright pink tourmaline with good colour, cut & polish. NATURAL TOURMALINE GEMSTONE. 5mm ROUND CUT. Brazilian natural vivid green tourmaline. • Gemstone variety: Tourmaline Paraiba (Brazil). Origin: Paraiba, Brazil. • Shape: Trillion. TOURMALINE-NIGERIA 2.43Ct FLAWLESS-LIME GREEN TO FOREST GREEN-RARE JEWELRY!! It opens the way for service to others and assists in boosting the immune system. MATERIAL: Natural untreated TOURMALINE. CLARITY SCALE: From best and cleanest with no visible inclusions (FLAWLESS) to heavily included (P3):FLAWLESS - VVS1 - VVS2 - VS1 - VS2 - SI1 - SI2 - P1 - P2 - P3. We have the exceptional collection of Certified precious gems! Windex Blue in colour. Fancy shaped, eye clean, various sizes a total of 10 pieces. Tourmaline Hand Carved Wings. You'll receive this set as shown in the picture. Quantity: 2 pieces. Over 500 carats black tourmaline rough and crystal gems-----great for wire wrapping ! Tourmaline Gem Lot. APPROX WEIGHT: 500 total carats. SHAPE: Rough and Crystals. COLOR: Black. Photos are samples of what you can expect to receive. Identification: Paraiba Tourmaline. • Color: Greenish Blue. • Carat: 0.58 carats. Identification: Natural Heated Purple Sapphire. • Carat: 1.82 carats. • Shape: Round. 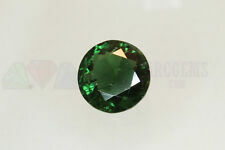 You are Purchasing a 11.68 ct Cushion Modified Step Cut Green Tourmaline. Identification: Paraiba Tourmaline. • Carat: 0.35 carats. check GIA Report. • Shape: Oval. GEM TYPE: Paraiba Tourmaline. CLARITY: SI - Has visible inclusions standard for Paraiba. Natural earth mined gemstone. Faceted here in the UK using precision cutting tools and correct refractive index diagrams to enhance the beauty of the gemstone. This is an earth-mined natural tourmaline gem. It is a natural quality gem. This is an earth-mined natural tourmaline gem. It is all natural and is a quality gem. This gem was faceted as an oval. Bright Pink/red. This gem has excellent lustre. 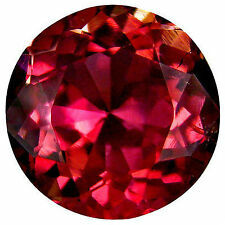 TOURMALINE-MOZAMBIQUE 1.07Ct FLAWLESS-PRECISION GERMAN CUT-FOR JEWELRY! ORIGIN: MOZAMBIQUE. It opens the way for service to others and assists in boosting the immune system. Sky Blue TOURMALINE. MATERIAL: Natural untreated Sky Blue TOURMALINE. CLARITY SCALE: From best and cleanest with no visible inclusions (FLAWLESS) to heavily included (P3):FLAWLESS - VVS1 - VVS2 - VS1 - VS2 - SI1 - SI2 - P1 - P2 - P3. 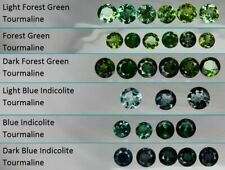 (Gems have microscopic Inclusions which are difficult to slightly to see under a Lupe with 10x Magnificarion). Bright Green! Copper & Manganese Bearing Paraiba Tourmaline. Exceptional, Strong Purplish Pink Color. Natural Earth Mined from Mozambique. Stunning, Large 8.54 ct. 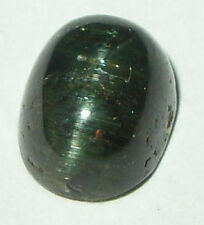 Oval Tourmaline. 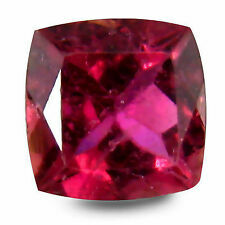 Natural hot pink rubellite tourmaline. This Beautiful Natural Paraiba Tourmaline, Unheated and untreated, size: 8.11x6, 1.18 Ct, Mohs Hardness:7.5. These gems have inclusions which are fairly easy to see under the close naked eye. These inclusions are usually not really visible at an arm's length. GIL Certified Paraiba Tourmaline. Colour: green blue (neon blue). Shape: Faceted pear (trillion cut). Cut: excellent. Over 100 carats green tourmaline rough and crystal gems-----great for wire wrapping. Tourmaline Gem Lot. APPROX WEIGHT: 100 total carats. SHAPE: Rough and Crystals. COLOR: Green. CUT: Faceted. Photos greatly magnified for better viewing. 2.20 ct Natural Color change Tourmaline from Nigeria. Fancy octagon step cut. The color of this bright gem shifts greatly from artificial to natural light and goes from a strong purplish-red, under fluorescent light, to a peach to brownish-orange under warm incandescent light. WITH MINERAL COLLECTION IDENTIFICATION DOCKET MF1165. NATURAL MINED UNTREATED TRANSPARENT WITH NATURAL INCLUSIONS. STONE : TOURMALINE. FREEFORM CABOCHON PROFILE INTERESTING GEMSTONE. DISPLAYS CHATOYANCY [CATS EYE EFFECT]. Incredible Orangish Pink Color (Padparadsha). Exceptional, Large 4.48 ct. Cushion Cut Tourmaline. Natural Earth Mined from Mozambique. Gemstone colors may appear differently due to variations in monitors and lighting. INCLUDES MINERAL COLLECTION IDENTIFICATION DOCKET MF1076. NATURAL MINED UNTREATED WITH CHATOYANCY. INDICOLITE COLOUR ZONING. STONE : TOURMALINE. PRESENTED IN CLEAR DISLAY/PROTECTIVE CASE. It opens the way for service to others and assists in boosting the immune system. ORIGIN: MOZAMBIQUE. Sky Blue TOURMALINE. MATERIAL: Natural untreated Sky Blue TOURMALINE. CLARITY SCALE: From best and cleanest with no visible inclusions (FLAWLESS) to heavily included (P3):FLAWLESS - VVS1 - VVS2 - VS1 - VS2 - SI1 - SI2 - P1 - P2 - P3. UNHEATED TOURMALINE-BRAZIL 3.36Ct FLAWLESS-VERY RARE-AMAZING NATURAL COLOR! (Unheated TOURMALINE. Hardness is similar to Garnet or Zircon, suitable for jewelry wear). Used by most healers and spiritualists. It opens the way for service to others. Assists in boosting the immune system. Shape: Pears Concave. In Fact, Tourmaline Has One Of The Widest Color Ranges Of Any Gem Species, Occurring In Various Shades Of Virtually Every Hue. 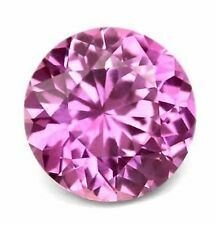 Very Valuable Collectors Rare 9.70 Carats Pink Tourmaline Gemstone. Over 50 carats green tourmaline rough and crystal gems-----great for wire wrapping ! Tourmaline Gem Lot. APPROX WEIGHT: 50 total carats. SHAPE: Rough and Crystals. COLOR: Green. CUT: Faceted. Photos greatly magnified for better viewing. Gem Type: 100% Natural Apatite Hardness: 7-7.5. This etymology is also given in other standard dictionaries including the Oxford dictionary. Natural Tourmaline from Brazil. Bead Size: Barrel Beads: 11x8x8mm Specific Gravity: 3.06 ( .20 -.06). WITH MINERAL COLLECTION IDENTIFICATION DOCKET MF8281. 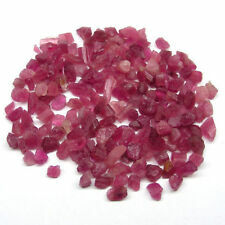 LOVELY RUBELLITE COLOUR HUES. NATURAL MINED UNTREATED GOOD CLARITY. STONE : TOURMALINE. ATTRACTIVE PLEOCHROIC COLOUR PLAY.